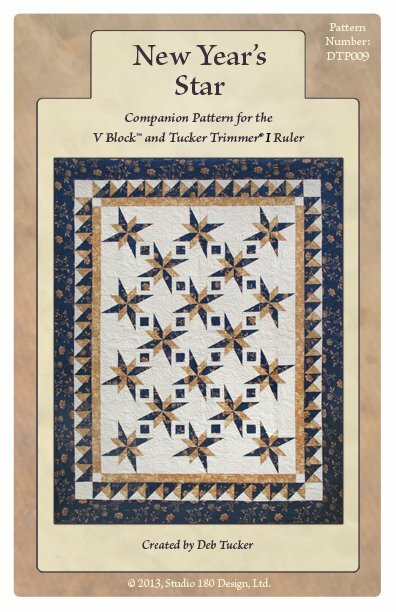 Choose three fabrics, add several great tools, mix with good techniques, and, Presto!, you'll have this great looking quilt in a snap! Deb's New Year's Star pattern includes three sizes, from Lap to Queen, and is much easier to construct than you might think. Make a resolution to give this one a try! You'll be celebrating in no time! Project sizes - 50" x 66", 66" x 82", and 82" x 102"